The supporting hotel of Alacero-58 is Emporio Hotel. Alacero offers special rates to the conference attendees. Participants of Alacero-58, must make their bookings directly with the hotel and not through Alacero. Free shuttle service will be provided between supporting hotel and Paradisus Cancun (Venue of Alacero-58). IMPORTANT: All Alacero-58 attendants who are not accommodated at the venue Paradisus Cancun, by the regulation of the hotel will have to pay a daily pass directly to the hotel in order to be able to enter the convention center. Participants of Alacero-58, must make their bookings directly with the hotel and not through Alacero. Rates are available between november 03 and 11, 2017. Preferential rates until September 12. From September 13, will be subject to availability of category and the rate will be re-quoted. The booking is confirmed by making a deposit or transfer for 1 night stay. The reserve must be pre-paid maximum 30 days before arrival. EARLY CHECK-IN: Subject to availability. LATE CHECK-OUT: 50% of the rate per night will be charged. CANCELACIONES: Cancellations prior to October 05 will not have to pay a fine. Cancellations from October 06 will have a penalty of 01 night. NO SHOW: In case of no show, the Hotel will apply a penalty of 01 night of occupancy reserved for non-show concept. Junior Suite Ocean View Room: Main room with a king size bed equipped with LCD screen with cable, mini-component, radio - alarm clock, safe box, telephone with voice mail, air conditioning, ironing kit and hair dryer. It has a large living room with 2 murphy beds and TV with remote control, dining room and fully equipped kitchen with refrigerator, dishwasher, crockery and kitchen utensils. 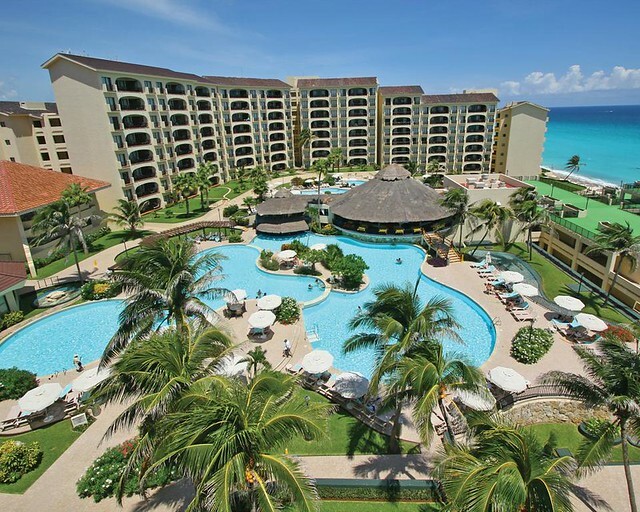 The distance between Emporio Hotel and Paradisus Cancun (venue of Alacero-58) is 1,5 km. By car is 6 minutes and 19 minutes walking, approximately. Shuttle service between supporting hotel and Paradisus Cancun -Venue of Alacero-58- will be provided.